NEW TO LET:- Our 2 Lovely Caravans Are In A Stunning Location With Fantastic Sea Views Just Metres From The Waters Edge. Both Vans Have Gas Central Heating And Double Glazing. ALL BEDDING IS PROVIDED. Beautiful caravan. Stunning site. Great location. 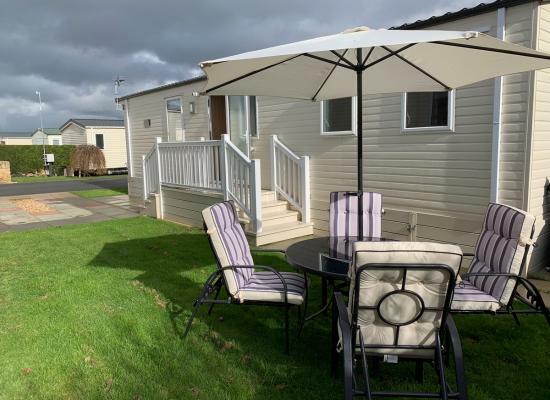 Well equipped 3 bedroom caravan suitable for hire at The Beach Caravan Park. Ideally situated on ‘the beach’ between Abergele and Colwyn Bay. Beautifully landscaped Park with great facilities! There is some great panoramic views from the Caravan Park and its about a 1 minute walk to the beach. There is also access to cycle paths and walks to locations such as Colwyn Bay and Rhyl. A local bus runs every ten minutes that can take you to many destinations along the North coast of Wales. A shorter bus journey (10 mins) will take you to the amenities at Colwyn Bay including a leisure centre (with indoor heated pool). 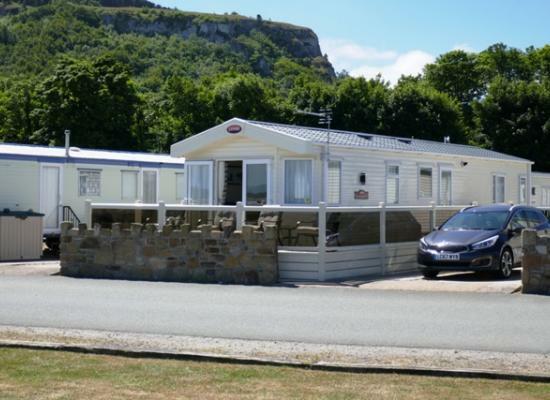 There are lots of places you can visit during your caravan holiday at The Beach Caravan Park including Conway Castle, Isle of Angelsey, Colwyn Bay Zoo all about 30 minutes away. Many more attractions can be reached in under an hour from this great location in North Wales.